Imagine a home where lighting adjusts automatically to the time of day, music follows you from room to room, and a myriad of other automated options are available at the touch of a button, even from a remote location. At Audio Video Solutions, our commitment is to provide our customers with this experience, and to make it an affordable option at that. Our automated home systems are designed to make life more pleasant and convenient, all without breaking the bank. At Audio Video Solutions, we understand that your needs are unique. That’s why we go out of our way to offer quality home automation systems that address your specific habits and concerns. Whether you’re looking to integrate your heating and cooling equipment or add automated blinds, we’ll take the time to understand your goals and design a system that works for you. URC Total Control connectivity offers fluid, reliable control of a single room or an entire building. 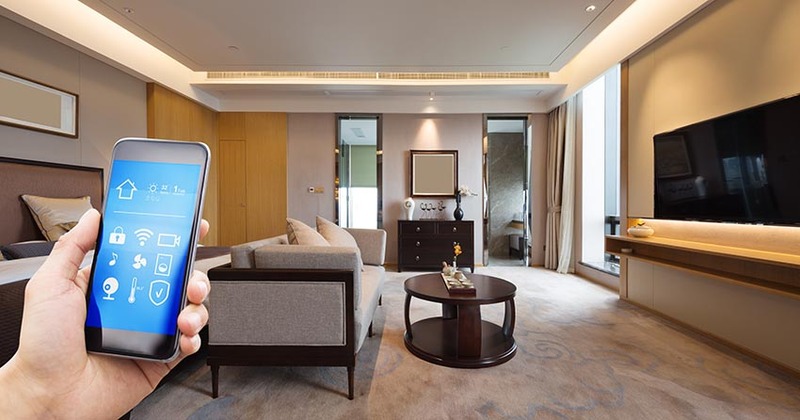 From the easy communication of wireless controls to the sophisticated, high-level integration of a home automation system, URC Total Control products connect seamlessly and reliably with one another. URC Total Control also works with many 3rd party manufacturers to ensure that home automation systems integrate reliably with other remotes. Automation technology should simplify your life, not complicate it. Our lighting systems integrates systems throughout your home or business and makes them easy to monitor and control with intuitive interfaces. All your favorite brands and existing equipment can be enhanced through integration, including your TV, Blu-ray player, stereo system, media player, and security systems — just to name a few.